PORTLAND, Ore., May 1, 2017 /PRNewswire/ — Eastside Distilling, Inc. (OTCQB: ESDI) (“Eastside” or the “Company”), today announced the acquisition of a majority stake in Big Bottom Distilling (“BBD”), a Hillsboro, Oregon-based distiller of award winning and super premium gins, whiskeys, brandies, rum, and vodka. BBD was founded by Ted Pappas, a past president of the Oregon Distillers Guild. BBD will continue to operate as a distinct business entity and produce spirits in collaboration with Eastside’s Master Distiller and EVP of Operations, Melissa “Mel” Heim. Eastside intends to place BBD’s craft spirits into joint distribution, on a selective basis, with Portland Potato Vodka, Burnside Bourbon, Cherry Bomb, Coffee Rum, Marionberry Whiskey and its other popular craft spirits. The extensive BBD product portfolio includes several craft spirits that are highly complementary to Eastside’s product line, including The Ninety One Gin, Navy Strength Gin (114 proof) and Delta Rye (111 proof) rye whiskey, among others. Since its founding, Big Bottom Distilling has transitioned from an independent bottling operation to the distilling of their own award-winning spirits. Inspired by the craft spirits movement in Oregon, Big Bottom Distilling’s small-batch, hand-crafted spirits provide consumers with unique takes on traditional spirits. The spirits portfolio created by Ted Pappas and lead distiller Travis Schoney, formerly of High West Distilling of Park City, Utah, has won, and continues to win, awards for such specialty finished whiskeys as the Barlow Trail Port Cask Finished Whiskey. BBD will continue their exclusive Warehouse Series – a boutique line of limited production spirits, like Hungarian oak finished rye, sold to collectors on a first come, first served, basis. BBD craft spirits are primarily distributed in Oregon, California and Illinois. Eastside intends to leverage its own distribution base and sales team, on a selective basis, in the U.S. and Canada. Eastside’s production team, led by its EVP, Mel Heim, will jointly create and produce innovative and high quality spirits, such as spirits aged in Eastside’s signature Oregon Oak barrels, as pioneered by Mel Heim and Lenny Gotter starting in 2010. Eastside and BBD are collaborating on the expanding production of a super-premium American Single Malt Whiskey, made with malted Pacific Northwest barley, fermented and distilled entirely on premises (i.e., in bond) by Ted Pappas, Travis Schoney and, joined now, by Eastside’s Mel Heim. The transaction is structured as an exchange of 84,286 Eastside shares for BBD LLC units, and will maintain the independence of BBD as a separate entity underneath the operational umbrella of Eastside Distilling. BBD and Eastside will benefit from brand synergies because of the limited overlap with Eastside products. Eastside will devote sales, marketing, financial capital and production resources to expanding BBDs business, which in 2016 had total revenues of approximately $201,000. After graduating from The Citadel and serving time in the United States Air Force, Ted moved to San Francisco, California where he pursued a career in managed healthcare. Ted has been in the healthcare industry for the last 20 years, settling in healthcare IT for one of the largest healthcare providers in the country. After relocating his family to Portland in 2004, Ted was inspired to start his own whiskey business in 2010 as a result of his strong passion for whiskey and the influence of the craft distillery movement in Portland. Ted served on the Oregon Distillers Guild Board of Directors from April 2012 to March 2017 holding the office as Vice President (4/12-12/13) and President (12/13-03/17). BBD’s Lead Distiller, Travis Schoney formerly with High West Distillery in Park City, Utah, joined BBD in November 2012. For the five years from 2007 until 2012, Mr. Schoney was employed by High West as Assistant Distiller and Blender. Mr. Schoney is an integral part of the BBD team and helped win many awards for gins, brandies and whiskey. He is currently overseeing the distillation of a much-anticipated single malt whiskey, distilled from Pacific Northwest barley, using a whiskey mash fermented in-house by Mr. Schoney using BBDs proprietary strain of yeast. Mr. Schoney will continue to manage production for BBD in collaboration with Eastside and will carry forward the company’s practice of crafting quality Oregon spirit. Big Bottom’s American Blended Whiskey is a proprietary blend of three well-aged whiskeys and contains no neutral spirits, staying true to what they’re all about – whiskey. It exhibits subtle floral notes with hints of salted caramel and vanilla along with just the right amount of oak and spice. Big Bottom continues the tradition of finishing spirits in wine casks with Barlow Trail, Port Cask Finish. It presents a bright, sweet berry and citrus nose. On the palate, it showcases a fresh, ripe berry followed by a small hint of peppery spice that gives way to a very smooth, rich and malty quality from the French Oak Port casks. Delta Rye is a harmonious blend of spicy Indiana distilled straight rye whiskey with a slightly sweeter Canadian distilled 3 year old rye whiskey. This rye blend exhibits intense spice with hints of citrus and mint while it finishes with some vanilla and bold oak. Proofed at 111, the full flavors of these two rye whiskeys create a perfect balance for the most discerning palate. Starka is traditional aged vodka dating back to the 15th century in Eastern Europe. Big Bottom along with 2 other local Oregon distillers embarked upon a collaborative effort in 2014 called the Oregon Starka Project. Each distiller created an exclusive variation of Starka by choosing specific barrels that are distinct to the producer. Big Bottom aged this vodka for 12months in Zinfandel casks that also housed their bourbon. The result is a remarkable Starka offering a fresh old twist to the world of vodka. The Ninety One Gin contains 16 botanicals that offer a complex bouquet of floral qualities complementing the juniper. A slightly sweet gin with non-traditional gin characters, it boasts a rich, full mouth feel with a creamy body that finishes with a hint of spice. Big Bottom Navy Strength Gin is a 114° gin containing the same 16 botanicals as the 91° Gin. It presents a slightly heavier juniper bouquet than the 91° gin with a delicate hint of lemongrass and citrus. This Navy Strength Gin offers a balanced spice throughout the palate followed by a mild head and crisp finish. Big Bottom Barrel Aged Gin undergoes a solera process with the use of 3 different woods in our whiskey barrels – Oregon oak, Hungarian oak and North American white oak. It presents a subtle floral sweetness of juniper and warm spices followed by creamy sweet oak characters. The 2015 Oregon Apple Brandy is a blend of 5 Oregon apple varietals giving it a more complex fruit quality. This brandy exhibits crisp red apples with autumn spices and the essence of vanilla. A special blend of in-house yeast strains gives way to darker fruit esters allowing for a creamy spiced caramelized apple finish. This 4 year old rum is further aged in Big Bottom bourbon barrels creating a perfect balance of sweetness and complex spice. The initial aroma of caramelized sugar, bourbon and molasses is followed by warm spices of cinnamon, cloves, nutmeg and allspice resulting in a smooth, rich and full finish. 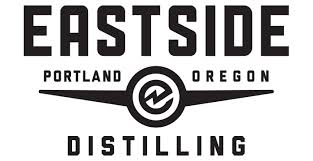 Eastside Distilling, Inc. (OTCQB: ESDI) is located in Southeast Portland’s Distillery Row, and has been producing high-quality, master crafted spirits since 2008. Makers of award winning spirits, the company is unique in the marketplace and distinguished by its highly decorated product lineup that includes Barrel Hitch American Whiskies, Burnside Bourbon, Below Deck Rums, Portland Potato Vodka, and a distinctive line of infused whiskeys. All Eastside spirits are master crafted from natural ingredients for unparalleled quality and taste. 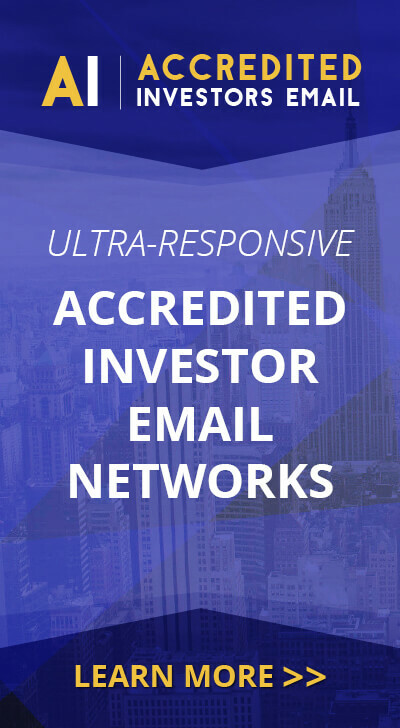 The company is publicly traded under the symbol OTCQB: ESDI. For more information visit: www.eastsidedistilling.com or follow the company on Twitter and Facebook.